In order to perfect your Drug Testing Procedure, you must understand each step thuroughly. To most people, a clinic and a lab might as well operate under the same name, this assumption however is incorrect. Below are the true definitions of a clinic, laboratory, and Medical Review Officer (MRO). Understanding the drug testing process is essential to finding software like OriginONE. Origin understands the needs of HR departments, and knows how to meet them. Clinic– A clinic is a location connected with a medical institution where medical treatment is provided. Clinics are also where specimens such as blood, urine, and hair are collected for testing. Think of Concentra, which provides occupational medicine, urgent care, physical therapy, and wellness services from more than 300 medical centers in 40 states. Lab– There are only a handful of laboratories in the country and these locations are where specimens are tested. 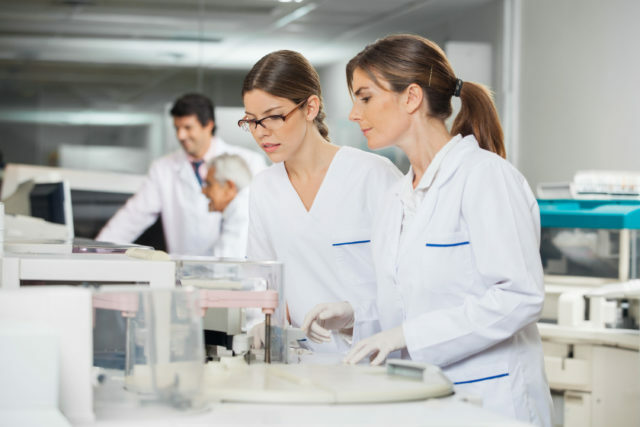 Some examples of well-known labs are Quest, LabCorp, Alere and Medtox. MRO- An MRO is a licensed physician who is responsible for reviewing laboratory drug test results. For example, if an employee’s drug test shows levels of opioids (Vicodin, OxyContin) then an MRO must investigate further. The MRO reviews the levels to determine whether the individual has a valid prescription for the shown substance or is in fact testing positive. For those of you who want this process to be effortless, hire a third-party administrator, hire Origin. Origin has tailored to your needs by creating an all-inclusive platform that manages not only your company’s drug testing results, but all your work verification needs. This OriginONE platform administers background screening, training and testing, workforce management, credential badging, and recruiting. Take the next step, the Origin step.